I either have these fabrics in stock or they are due to be delivered shortly. What are you having made? The skirt element only needs a small amount of stretch and isn’t against your skin so there’s more flexibility of choice. The shorts need to be made from the stretchier stuff and I would advise wicking and breathable fabric for comfort. This partly depends on which you are having, but Strides need fabric with at least 50% stretch (most here do, bar the holograph and the navy and black stretch sports poly). Super Gs need at least 75% stretch(! ), which narrows the choice down, but ask and I’ll let you know if it has or if I can compensate with sizing. Drape and breathability is possibly more important for tops, although good stretch helps with the Lille. Swim will tend to be less wicking and less drape-y, but can be used. Tactel is brilliant for tops as it has lovely drape and dries really quickly. Meryl is great as well and is wicking and not too clingy. I can provide samples for you to make a final choice – please fill in the form below to request your samples. Click through the gallery to see all of the images. I tried to get the colours as accurate as possible, but screens do differ… If you would like to see the fabric in person please let me know. A lovely print on a stretch fabric base. An all-rounder in performance and quality. 190gms in weight so suitable for most sports clothes. 18% Xtralife lycra allows freedom of movement for your comfort. The fabric has a matt finish. Space dyed spandex. Soft, cotton like feel. Really stretchy, wicking and breathable Low stock. Crackle hologram on black spandex base. I have a skort in this – stands out, but works well. Would suggest not having rear pleats with this. Performance yoga knit. Super stretchy and really soft, but a bit thicker than the others. Would work well foe the shorts. Definitely a bit warmer, but also breathable and wicking. Low stock. Glitter dot pink/purple spandex. Slightly less Stretchy, but fine for skirt part. Almost cottony feel. Very stretchy, wicking and breathable. Great for leggings, shorts, tops and skirts! Thicker than a standard lycra base with a fleece lining, this has thermal protection to help regulate body temperature during colder spells and has a natural moisture wicking process. It’s super stretchy so great for leggings, but would also make a good outer layer. A bright purple sports stretch fabric. offers the perfect muscular compression, it decreases muscular vibrations and strain and improves athletic performance. Other features include pilling, abrasions, chlorine, sun creams and oil resistant. Black with one side a smooth matte and the other very slightly ridged. Either side can be used. offers the perfect muscular compression, it decreases muscular vibrations and strain and improves athletic performance. Other features include pilling, abrasions, chlorine, sun creams and oil resistant. ‘Denim’ performance fabric – great for sports use (leggings etc)/ Blue gometric ‘swim’ – a light, ‘slippy’ swim fabric great for swimsuits/bikinis. Stripes/Navy Swim Fabric. This is stretchy and suitable for sports, but doesn’t always wick brilliantly. The stripes are on a much more cotton-feel base fabric. 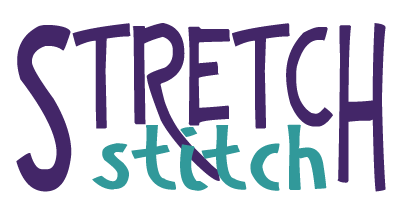 A technical polyester fabric for yoga/running tights. Sweat wicking, high quality, super stretchy. A technical polyester fabric for vests/tshirts/lightweight hoodies. Sweat wicking, high quality, super stretchy. I think it’s more towards burgundy than this picture shows. Really soft and brushed on one side. Excellent for leggings and tanks. Really soft and brushed on one side. Excellent for leggings and tanks. LOW QUANTITY Heavy weight with a good stretch. ideal for leggings or a Sundance Jacket. The Poly Span is a wider gauge mesh that would probably work best for jacket panels or small panels on leggings/tops. The poly mesh is a soft stretchy mesh, with finer holes than standard airtex. Great for side panels on leggings or for tanks and tees. This sporty airetex mesh is super stretchy and extremely versatile. It can be used for vests, base layers and inserts. Super hi-vis fabric. Excellent stretch and mesh for breathability. Ideal for inserts. Stretch sports poly. Would work well for the skirt. Slight shine to the fabric. I am wearing some of the fabrics in pictures that you can see on Instagram (https://www.instagram.com/ljt79/) . The grape Tactel, the hologram* crackle and the orange space dye are all there. 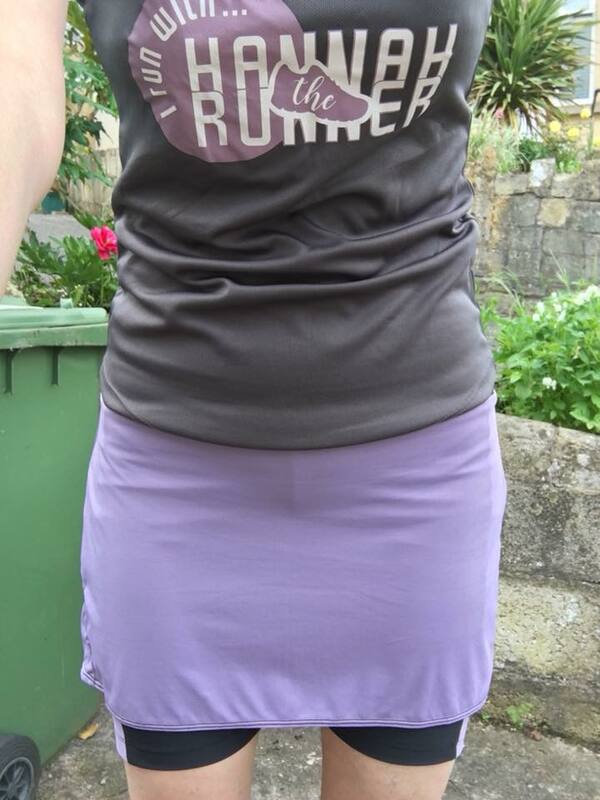 *this is the non pleated version of the skort – see Greenstyle’s website for pleated version – this is what was used for the Wonder Women skorts and for the Hannahs’ lilac skorts. If you would like something I don’t already have I can order in fabric for you. These sites are my go to sources, but let me know if you spot anything else! The Wonder Woman skorts were made with fabric from Funki Fabrics. This can be ordered in 0.5m increments and I’m happy to get some in if there’s something you like. So Sew English are based in California, but I am in a buying group in the UK. They have a great range of knits, including performance and swim. Tia Knight is also worth a look and is where I get my Tactel from. Max 5 samples for free. Please contact me if you would like more and I'll send a paypal invoice for the postage.